The Turquoise Solar Energy Project, located 15 miles east of downtown Reno, Nevada within the Reno Technology Park, consists of 60 megawatts of solar power capacity. Upon completion of construction, Turquoise Solar will generate over 140,000 megawatt-hours of renewable energy per year. 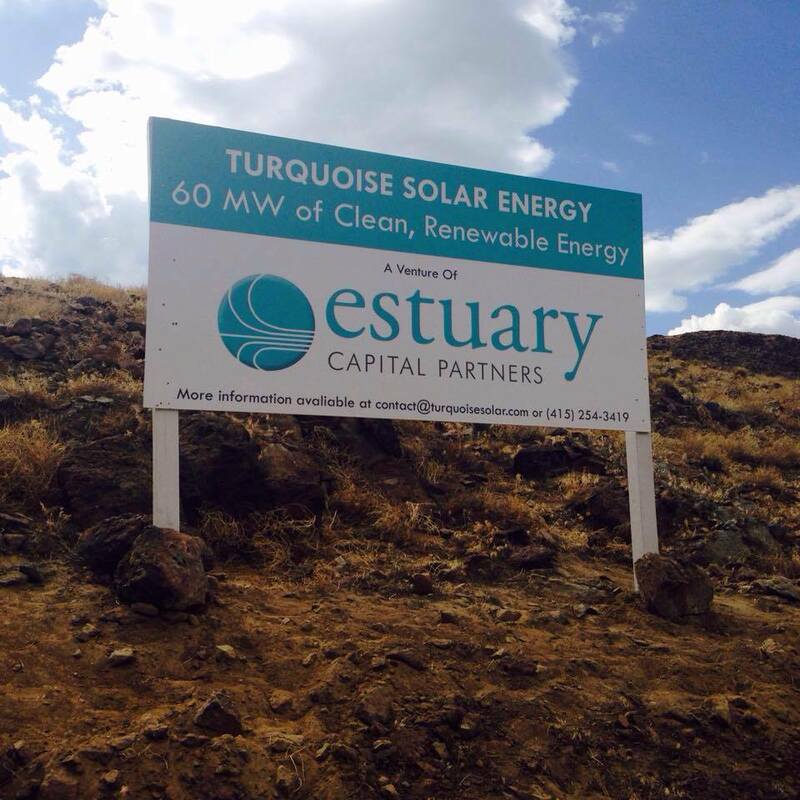 Turquoise will provide solar energy to two important energy users in the Reno-Tahoe region. 50 megawatts of the project's capacity will serve a large northern Nevada energy user via NV Energy’s innovative NV GreenEnergy Rider program. 10 megawatts of the project's capacity will serve Liberty Utilities, the retail electric provider for the Lake Tahoe region of California. Turquoise has been designed to minimize its impact on the environment by siting on industrial land which is of low value to wildlife, taking advantage of existing infrastructure for interconnection, and locating near high energy loads. Also, because of Turquoise's location at the heart of NV Energy's northern Nevada transmission system, Turquoise contributes to power quality in the region. Turquoise is a venture of Estuary and Sumitomo Corporation of Americas.